My contribution to our Sweet Christmas Kisses 4 Boxed set is A Portuguese Christmas. It was simply the way it was in Portugal, another morning dawning so brilliantly. Dappled sunbeams reflected off the Atlantic Ocean; the surf pounded along a long, sweeping beach. 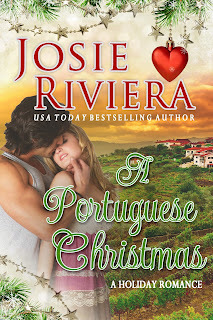 So this was a Portuguese December, Krystal Walters thought. It was so different from the cold weather battering her hometown of Newport, Rhode Island. Here in Portugal, the sun never stopped shining. She shaded her eyes, admiring the shimmering turquoise water. Feet snug in booties and reef socks, she wiggled her toes in the golden sand. Hurray! Her anticipation grew with each breath of brisk, salty air. After a grueling year-long championship tour, the World Surf League ranked her as one of the top seventeen women surfers in the world. She actually stood on Medão Grande Beach’s shoreline in Peniche, Portugal. She tucked her waxed surfboard under her arm, hoisted her belongings, and headed for the competitor’s area to check out the scheduled surf heats. Earlier that morning, she’d showered at the Oasis, an inexpensive hotel, and surfed for a short while. She’d encountered a sizeable wave and had spent a few seconds underwater. An hour had passed, and she still felt winded. Nothing would stop her, certainly not a little time underwater. She gripped her water bottle, drained the contents, and refilled. Slinging her lucky striped beach towel over her shoulder, she regarded the panoramic view of sky, tidal channels and mountains. I wish you were here to see all this, Ernie. A scream of sorrow slammed into her chest. Her carefree marriage to Ernie had lasted four months. And then, a week prior to their first Christmas together, he’d drowned while surfing. Ernie’s death had left her disheartened. To escape a despair that never went away, she turned inward. Never again would she rely on anyone for emotional support. She couldn’t bear the pain of loss, of abandonment, of defeat. “Don’t we all?” Sam smirked. “The purse is $15,000,” Sam said. 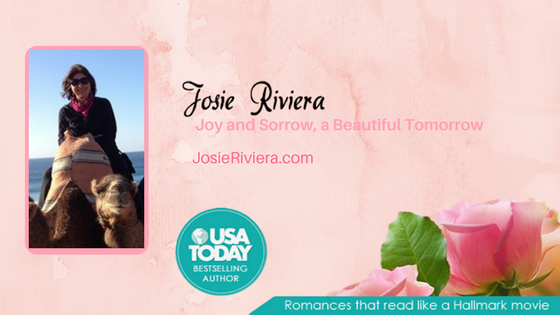 She was done with grief and heartache, and finally ready to celebrate the holidays again. She scanned the spectators mobbing the shoreline, pleased to see her cousin Veronica, along with Veronica’s husband, Clemente, and their twin six-year-old boys waving like mad cuckoo clocks in Krystal’s direction. Veronica wore a wide-brimmed straw hat that covered her crimped auburn hair, a long rainbow-colored skirt, and pink floral scarf. Draped around her neck hung a camera and binoculars. Krystal assumed her merriest smile and waved back. To cheer her on, they’d driven two hours from their olive farm in Évora. There was no reason for them to know her unease, or how much was at risk if she lost. A tall man with thick, wavy black hair stood near Veronica. He crossed his tanned, muscular arms over his creased white shirt, and his worn denim jeans emphasized his fit physique. His expression was one of utter indifference to the entire competition—the crowd’s lively applause, the announcer’s incessant bullhorn, and the loud riffs of a guitarist strumming and singing that he wished all Portugal girls could be California girls. Krystal studied the man’s handsome features. No doubt he was Clemente’s younger brother, Adolfo Silva. Although the men resembled each other, Clemente’s softer, paler qualities suited his office environment, whereas Adolfo was tall and broad-shouldered, projecting an aloof strength. Veronica had high praise for Adolfo. He worked the olive groves and consistently strove to build a more profitable farm. How had Veronica persuaded her workaholic brother-in-law to attend a surfing competition? His stance was as rigid as a floorboard, a touch of arrogance in the set of his chiseled jaw. He glanced at his watch before bending to rescue one of the twin boys when the other hit him over the head with a beach ball. Adolfo muttered something and Veronica frowned, placing her freckled hands protectively on each boy’s hair. Under dark brows, Adolfo’s gaze swept over Krystal, lingering on her form-fitting wetsuit. Krystal felt her face heat. He was much too bold. Her wetsuit protected her body from the cold water. She wasn’t a female specimen to be gawked at, as if she were wearing a skimpy bikini. Haughtily, she met his stare. Chin held high, she pivoted. She pegged him as one of those smooth-talking Mediterranean men who assumed any woman could be charmed by his lazy smile. The announcer called her assigned heat. She tucked the sunblock in her purse, secured the surfboard leash to her ankle and dismissed the fluttering in her stomach. Shaking out her hands, she tugged on her wetsuit gloves. “Thanks. You’ll surf great too.” She snapped up her surfboard and quickened her pace to the water’s edge. An unexpected dizziness made her pause. She paddled into the cool waters while the head judge declared her wave priority. Krystal chose a large, walled wave that allowed her to gather plenty of speed, and she quickly reached the wave’s velocity. Within a second, she mounted her board and rode the twelve-foot crest. The sun on her face, the water around her, the natural movement of the ocean waves beneath her feet—this was her world. The judges assessed swiftness, athletic power and flow. She was adept at a variety of difficult maneuvers and planned to perform them. Yes, there were risks. And dangers. And consequences. At the top of the wave, she stayed low and widened her stance to prepare for takeoff. She’d launch into the air, rotate and drop back down into the same wave. The key was to stay focused. “Naive interference!” a man’s voice from the milling spectators called out. Her concentration broke for a beat. Another surfer took off on the inside of the wave directly in front of her. Krystal had the right of way, and this unexpected surfer was snaking. She positioned to change direction, and a sudden steep wave barreled straight for her. Losing control … losing control of the board. As she was sucked under, the water’s force gripped her body in an unforgiving embrace. Nearly exploding in her chest, her heartbeat raced. She curled into a fetal position, her elbows shielding her face, bracing for the imminent body slam sure to follow. Wonderful excerpt! I can't wait to read. Awesome excerpt. Thank you for sharing. Thanks for stopping by, Charlene!